Exposure to the 2-Day TapRooT® Root Cause Analysis Training course in Atlanta will expand your professional knowledge. In two days, learn the TapRooT® Essentials to find and fix the root causes of incidents, accidents, quality problems, precursors, operational errors, hospital sentinel events, and other types of problems. Essential Techniques include: SnapCharT®, Root Cause Tree® & Corrective Action Helper®. A TapRooT® course is a career booster and can be a professional game changer for you. You’ll be amazed at how much you learn that you can immediately apply! While in Atlanta, you will want to get out and about. Below, to route you on the road to Atlanta, we’ve included highlights of this Southern city. Be sure to discover even more gems to explore on our Atlanta Pinterest board. 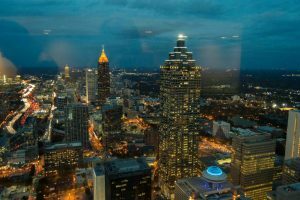 Atlanta has grown from a railway town to a Southern icon due to its cultural community, as well as for its position as a financial and commercial center. The bustling city maintains its identity as a crucial hub for transportation. 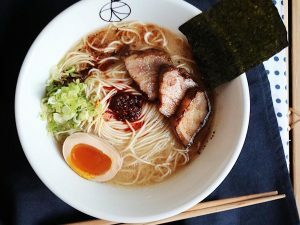 Atlanta—with incredible charm, generally mild-weathered climate, and attractions such as the Georgia Aquarium, the College Football Hall of Fame, and Piedmont Park—has drawn in celebrity chefs, media magnates, and a diverse population. Take a walk along the BeltLine, a 22-mile loop connecting parks and trails and encircling major areas of the city. See how many pieces of public art you can spot as you walk. With 75 acres of fresh outdoor nature experiences and the world of adventure inside, Fernbank Museum of Natural History opens your eyes to a hands-on, wild side, sensory discovery. 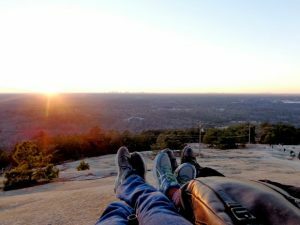 Go for a mini-hike up Stone Mountain. Stroll through Ponce City Market, set in a historic Sears, Roebuck & Co. building, and discover Skyline Park on the rooftop, dine and drink at City Winery, get an epic coffee at Spiller Park. At the High Museum, explore contemporary and historical art, exhibitions, and architecture. In downtown Atlanta, Centennial Olympic Park is where you’ll find the Georgia Aquarium. Martin Luther King Jr. National Historic Park: Visit the park, including the home of Martin Luther King Jr. Be moved by his story in this park dedicated to the African-American leader’s life and heritage. 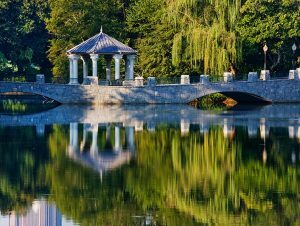 Atlanta Botanical Garden offers an urban oasis of more than 30 acres, adjacent to Piedmont Park in Midtown. Fork first, into a scrumptious Southern fare at Atlanta Breakfast Club. 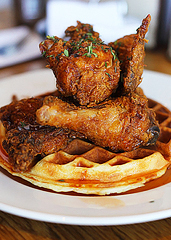 Among the temptations are fried chicken with waffles, pancakes, omelets, French toast, and, of course, grits. Make plans to stop at Ponce City Market and get your culinary senses sharpened in Central Food Hall. 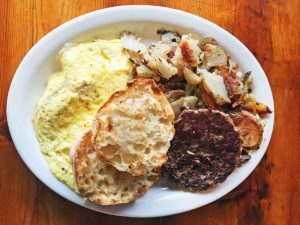 Duck into Ria’s Bluebird for a delicious weekend brunch in the downtown heart of Atlanta. The buttermilk pancakes are ranked the world’s best by the New York Times. Cool off with a crazy-good, flavor-filled treat from the closest King of Pops. Bite into a Sublime Doughnut to see what all the hubbub is about. With up to 15 trucks at a time, your options are wide open at Atlanta Food Truck Park. If you happen to be in East Atlanta or on the West side, savor a slider at Delia’s Chicken Sausage Stand. Go to Hankook Taqueria near the Georgia Tech campus and settle into some tong dak tacos and sesame fries. Tuck into some Belgian Fries at Belgian Beer Bar, located in Little 5 Points. The overstuffed burrito, rice and beans, quesadillas, and more from El Myr are something to look forward to. Atlanta is all about the food halls. In the middle of Inman Park, you’ll find Watchman’s Seafood & Spirits featuring fresh Gulf of Mexico fare in Krog Street Market. Register here for our Atlanta 2-Day TapRooT® Root Cause Analysis Training course.